Cidolfus Orlandeau is a Sword Saint of the ancient order Taiyo Kensei and a veteran of two of the great wars of the Golden Kingdom, the Fifty Years' War and the War of the Lions, in which he served as a General. He is a truly gifted swordsman, mastering both the holy fighting style of the paladin and the arcane fighting style of the swordmage. While on an expedition into the Great Wilds to slay a pair of ogres who had already slain four explorers, Cid and his companions discovered an orphaned elven girl who would later become Ariana Undómiel Soleil. Despite the high inquisitor's command that the girl be sent to an orphanage in the Hopewards of Galahad, Cid instead raised the girl in secret until she was old enough to begin arms training and scholarship in the monastery. 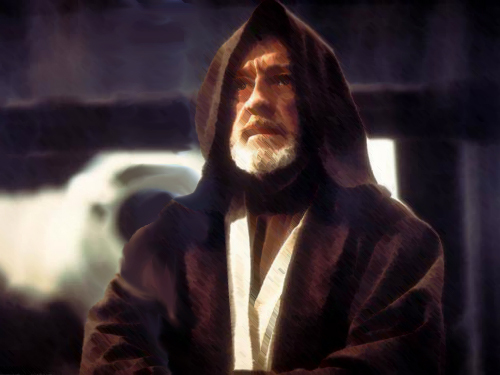 In play, Cid is an Obi-Wan Kenobi-style sage, but in fitting with this campaign's JRPG roots, toward Ariana he's also a stern Japanese father figure. In order to openly defy the high inquisitor, he needs to be both a good friend and a super-badass, so play him up as such, until he's assassinated or joins the bad guy team or something, or maybe he just continually disapproves of everything Ariana and the Inhuman League do, no matter how pivotal or impressive.